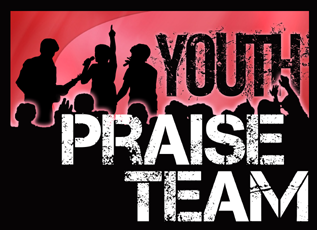 There is a high priority in many churches for well-performed, radio-quality sound when it comes to music in youth ministry. The idea is that students will want to come if the music is good, and they won't if it isn't. That's more power than I think music has, but there might be some truth to it. But it's easier said than done. While some churches attract and utilize talented singers and musicians to make this happen on a volunteer basis, I know of several churches that spend hundreds of dollars per week to pay band members and vocalists to ensure that level of consistent performance. Additionally, several thousand dollars must be invested in equipment to achieve the sound that is desired, and a high-level volunteer (sound-technician) must be brought in who can set up and run the sound during the performances - and rehearsals and warm-ups. The time, money, and personnel required to "do music" makes it very hard to actually have music included in youth ministry. If you have some students who can play instruments, sing, and get along with each other, then you might have the makings of a band - but they aren't likely to satisfy the desire for well-performed, radio-quality sound...that's okay. And if you don't have those students, then you might think you can't do music at all. First of all, I want to say that giving students an opportunity to play their instruments, sing, run the sound board, change the lyric slides, etc. is a great way to involve them in ways that create ownership in the ministry. If you have the students, the resources, and the time, then it can be a good thing for the students and the group. But what if you don't? I want to share two experiences and one observation. I went to a church in a nearby town to see what they had going on in the student ministry. The church has invested thousands (and thousands) of dollars in music, graphics, sound and other technology. The service started. There were about 60 kids throughout the room and I'd guess 5 of them were following the slides and singing along. The rest were busy talking amongst themselves. But here's the catch: the music was being played by a good-looking, age-appropriate, multi-gender, incredible-sounding band with the best graphics I've ever seen in life on a screen. They had been paid well for this appearance...but no one cared. In that moment I realized that the music might as well have been playing through an iPod - it would have gotten the same response. This experience actually confirmed my realization. I showed up at a different youth ministry on a regular Wednesday night. They darkened the lights, turned up the volume, put words on a screen, and pressed play on an iPod. What followed was the most passionate student praise that I have ever witnessed. I'm still blown away just thinking about it. You don't need to spend thousands of dollars for well-performed, radio-quality sound. It's already on your iPod. Plug it in and press play.